It was a tumultuous time in the world as well as in the U.S., with oil shortages, a poor economy and political discord, U.S. hostages in Iran, and the Soviets invading Afghanistan; America needed something to cheer about and an unlikely man from St. Paul, Minnesota was about to deliver America that shot-in-the-arm. 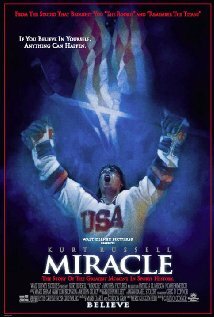 Miracle tells the true story of the of the 1980 Olympic Hockey team in an era before “Dream Teams” took over. Herb Brooks (Kurt Russell), a former player turned coach, pushes his players to limits they haven’t been pushed to before, in preparation to take on the best hockey team in the world, the Soviet Union. As a fellow Minnesotan and Hockey fan I thoroughly enjoyed watching this movie. The dedication these young players put into the game despite the pressure on their shoulders was inspiring. My Dad always said growing up “When there is a will there is a way” and that is what these young men proved. Kurt Russell does his best to lay on a thick Midwestern accent, is that how we really talk? Yeah, you betcha it is. Sports fans or not this underdog story can be appreciated. Motherly Advice: Miracle was made even better with the assistance of ClearPlay since it was mainly language and blasphemy that needed filtering. Of course a movie about hockey is going to a have a fight on the ice or two which it did but nothing graphic or bloody. 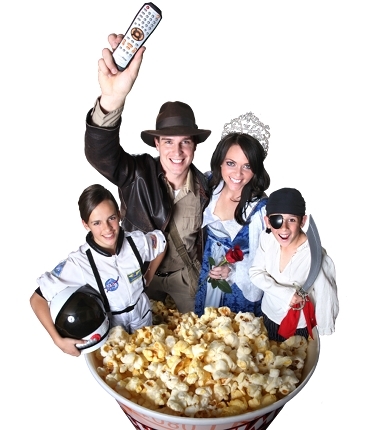 The young players drink alcohol in a couple of scenes but the overall feeling of the movie is done in good taste and safe for the family to watch. It is a great film about a triumphant moment in our history. 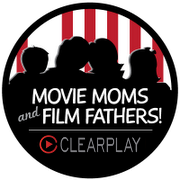 Movie Mom- I definitely believe in Miracles!